Welcome! We're glad you’re interested in learning more about the Severn Sailing Association Junior Program. We are looking forward to 2019 and all of the great sailing to be done in Annapolis and around the country! SSA was founded as a one-design racing club with a “do-it-yourself”, cooperative mentality and a passion for the Corinthian and competitive aspects of the sport. We have a staff of dedicated and experienced sailors who share the club’s core values. 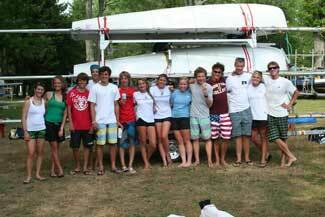 SSA has been a leader in junior sailing nationally and internationally for more than 50 years. Thousands of sailors have had the opportunity to experience sailing through this program. Sailors from SSA’s Junior Program have gone on to compete in collegiate, national, world, America’s Cup, and Olympic competition. The SSA Junior Program’s objectives are to provide a safe and fun learning environment to teach young people safe boat handling, seamanship, and sportsmanship; help young people learn techniques of one-design racing and to help them fully develop their racing skills; and to promote youth sailing competition. In the summer, we offer a diverse array of instructional classes and competitive race teams. Take a few minutes to browse the website and figure out which program is the right one to meet your needs. If you have any questions or concerns please call 410-263-0071, email the Junior Program Director at sailing@severnsailing.org, or stop by our office. Harbor Rookies is a one-week course designed to give the youngest sailors in our program an introduction to the Chesapeake Bay and sailing. Optimist Prams are provided, and instruction takes place with two sailors per boat. Harbor rookies is open to children as young as 5 who have completed at least one year of kindergarten. The class is geared toward sailors ages 5-8. Emphasis is placed on fun, teamwork and enjoying the Chesapeake Bay. On the first Monday of every session, sailors must pass a swim test (wearing their life jacket). This is followed by introductory sailing games as the sailors are eased into the week. Tuesday through Friday the focus is on getting sailors out on the water, having fun in an exciting new environment. Very basic sailing skills are introduced such as safety, sailing preparation and wind awareness. The goal will be to get sailors comfortable with being in a new and exciting environment out on the water. There will be no class held the week of July 4. Intermediate Opti classes are two weeks. The sailors should know how to swim. Boats are provided, but sailors have the option of bringing their own. This class is ideally suited for sailors aged 8-11 who have completed Beginner Opti and can sail the boat by themselves. The class focuses on safety, fun, and learning the skills needed to sail independently and proficiently. 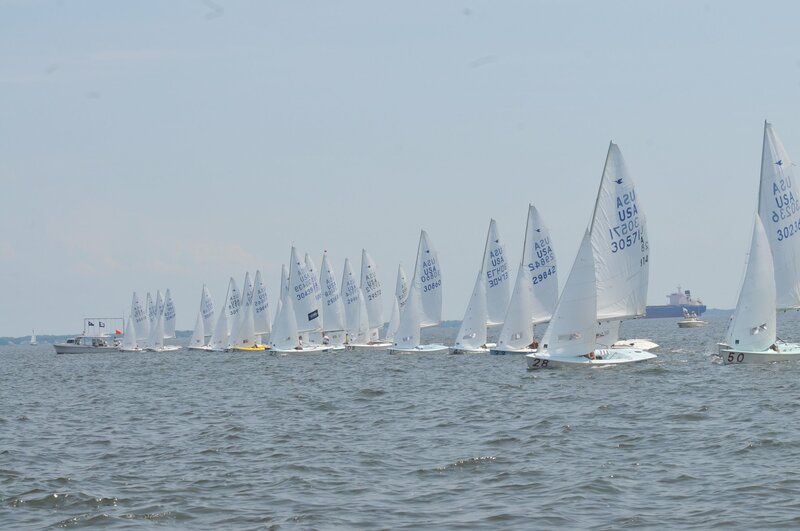 Ideally, sailors in the Intermediate Opti class will be comfortable being in a boat by themselves and will have some previous experience sailing the Optimist. Our goal is to have everyone sailing proficiently by themselves by the end of the course. There will be no class held the week of July 4th. Adventure sessions are Monday-Friday 9 a.m.-4 p.m. This program is 8 one-week sessions. Each week is geared towards preparing sailors for a lifetime of sailing and seamanship on the beautiful Chesapeake Bay and the fundamentals to enjoy the sport (ages 11-17). The sailors in this program will have the opportunity to sail either a dinghy (FJ) or a keelboat (J/22) during their week here. Every session will begin with basic safety information and sailing introduction. Tuesday through Friday sailors can expect to learn basic seamanship in whichever boat they are sailing. Sailors must provide their own boat. Parental involvement is expected to facilitate travel, trailering, and chaperoning. The team will typically have a parent liaison, subject to the approval of the SSA Junior Program Director. This person will work with the Junior Program Director, coaches, and other parents to help plan and communicate logistics. The teams will compete in local Chesapeake events as well as travel to high-level competitions around the country–focusing on the Northeast. The schedule will typically include Junior Olympics as well as National and North American championships.